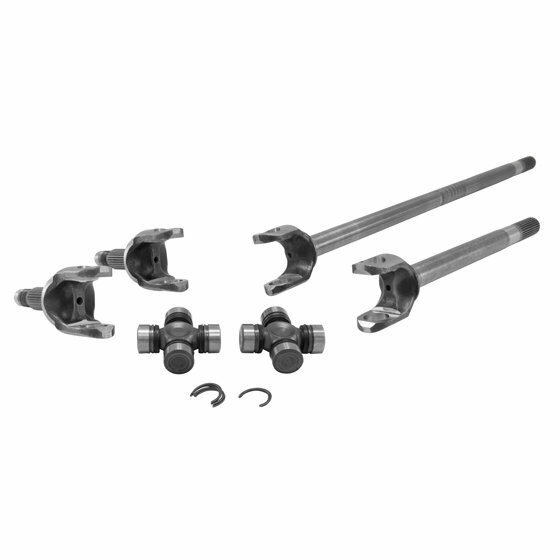 You can trust that Yukon Gear & Axle Chromoly Inner Axle Shafts for your Jeeps Dana 30 axle have been engineered, tested and manufactured to the highest quality standards. Chromoly shafts are superior to factory shafts in terms of torsion and tensile strength. They are a perfect upgrade for Jeeps with larger wheels and tires that put extra strain on the axle as well as for taking off road and having confidence that you will not snap an axle or spin the splines on the trail. For added strength, there are three U-Joint options available depending on the abuse you intend to put your Jeep through.